Currently, there are over 8,000 people crammed into a space for 3,000 in Moria. Consequently, conditions are so bad that people’s medical and mental health is being heavily compromised. 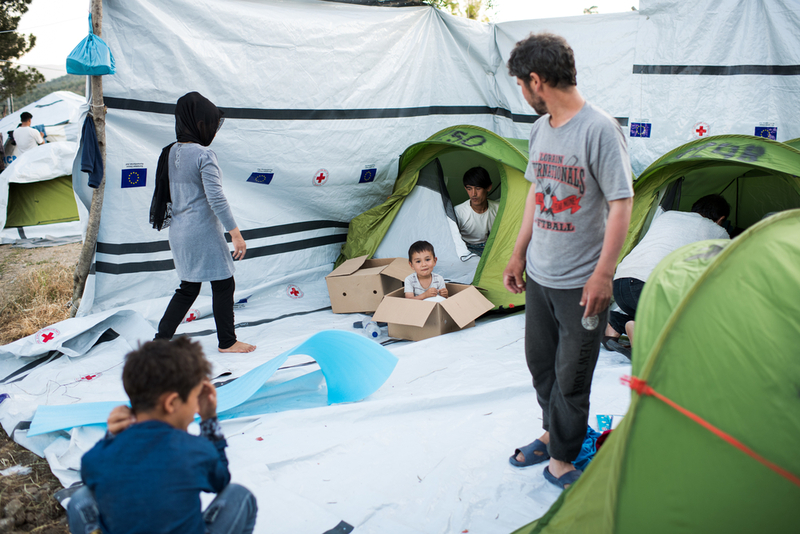 In the past few months, MSF has witnessed further escalations of everyday violence in Moria, and treated cases of sexual violence that have occurred in and around the camp. Much of the tension is caused by overcrowding and a lack of decent and humane living conditions. In the main area of Moria camp and Olive Grove, there are 72 people per functioning toilet and 84 people per functioning shower. 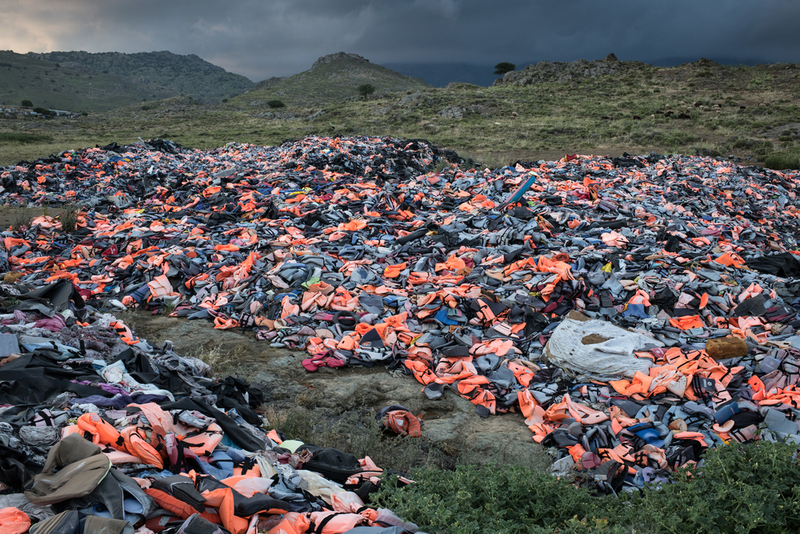 This is well below the recommended humanitarian standards in emergency situations. The extended Al Salih family from Deir Ez-Zor, Syria. They left Syria in July 2017 after their home and neighborhood was destroyed by barrel-bombs dropped by the Syrian government. A huge concern for MSF is the fact that this insecurity, the lack of humane living conditions and the limbo people are in for months or years, are taking a severe toll on inhabitants’ mental health. 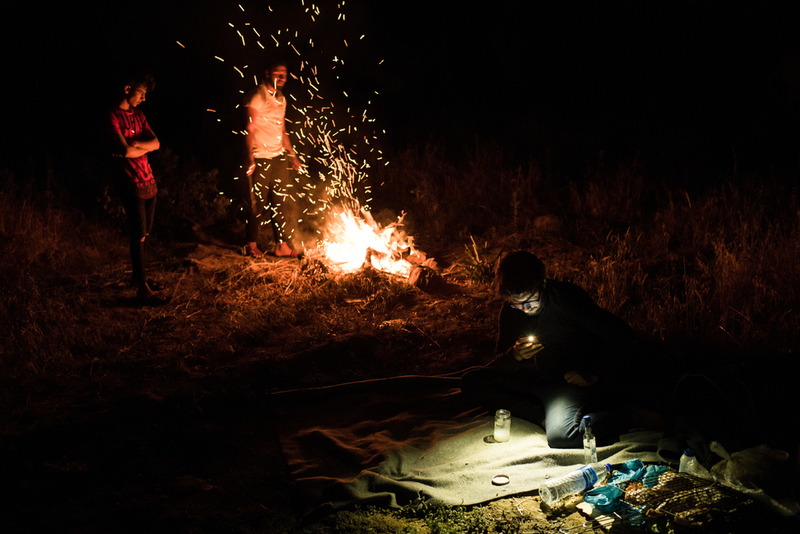 MSF’s mental health clinic in Mytilene only accepts the most severe cases of mental health problems, and is currently working at full capacity. “The other day a young man who was a victim of sexual violence was bought to the clinic by a friend in the midst of a psychotic breakdown. He has severe PTSD and was suffering from hallucinations and flashbacks, noises from all around, and could not stop crying during the two-hour session,” says Bonvini. MSF is now receiving around 15-18 referrals a week from other NGOs for cases of acute mental health problems, including children. But this is just the tip of the iceberg; there is a deep undercurrent of those who are suffering from severe mental health problems that we do not have the capacity to treat. This is due to the fact that MSF is the only actor providing such specialised mental health care for this large and vulnerable population. The majority of these people are new arrivals suffering from psychotic symptoms including hallucinations, agitation, confusion, disorientation, and who have strong suicidal ideations or have attempted suicide. Deeply worrying is that we also know, through our mental health group therapy for children, that both unaccompanied children and children with family in the camp, are being re-traumatised from their experiences of living in Moria. In the past four weeks we have also received an increase in the number of minors suffering from intense panic attacks, suicidal ideation and suicide attempts. “The appalling living conditions and the everyday violence in Moria camp is having a severely detrimental impact on the mental health of our patients, and is causing many of our patients to develop severe mental health conditions,” says Dr. Barberio. MSF calls for vulnerable people to be moved out of Moria into secure accommodation, and continues to call for a decongestion of the camp. Furthermore, we insist on an end to policies of containment, and call on the EU and state authorities to step up access to health and security for those in the camp. 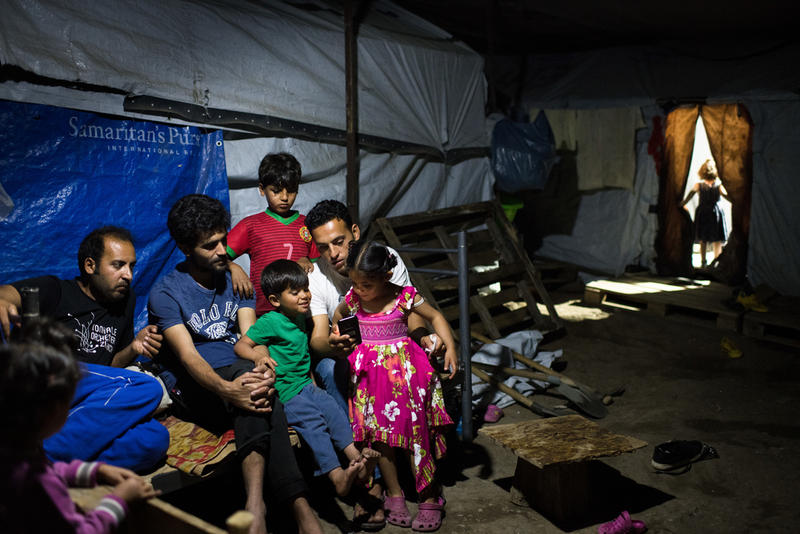 Our experience shows that the deterrence policy of the EU Turkey deal is not an effective one; people will continue to flee war and terror in order to survive. Trapping these people in awful and unsafe conditions is simply further traumatising an already extremely vulnerable population.